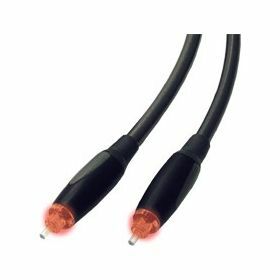 Make a positive connection every time with Velocity Illuminated Tip Optical Cables. 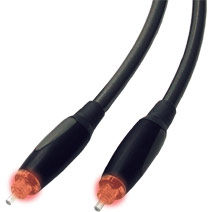 The illuminated ring ahead of the connector body indicates that the cable is connected properly and signal is present. 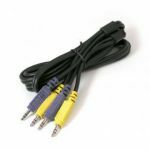 The unique round “universal” plug will connect to a TOSlink jack without consideration of the connector’s orientation. 6mm, soft-flexible PVC jacket protects the delicate fiber core. 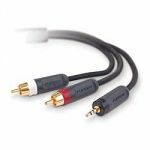 Toslink cables eliminate EMI and RFI interference common to standard Audio/Video cables. - Unique illuminated tip indicates a positive conection. 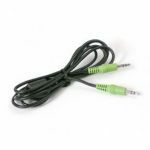 - “Universal” plug connects without consideration of the plug’s orientation. - 6mm diameter soft-flexible PVC jacket.